CHENNAI: Demystifying the superstar and making him appear as an ordinary actor mouthing dialogues written by a faceless script writer is not all that easy. The makers of 'Kuselan ' have realised this and removed a Rajnikanth dialogue from the movie. Asked by one of the characters in the movie why the superstar doesn't enter politics after repeatedly delivering dialogues that indicate his imminent entry into politics, Rajnikanth replies: "These words were written by a dialogue writer. What can I do if you treat them as real." Rajnikanth fans were upset with this and appealed to director P Vasu to remove them from the film. Vasu obliged. It all started when Rajnikanth delivered the dialogue 'eppo varuvein, eppadi varuvein theriyadhu, vara vendiya nerathil varuvein' ( I don't know when or how I will make an appearance , but I will come at the right time) in the film 'Muthu' ( 1995). The dialogue achieved a cult status in Tamil movies. For more than two decades, politicians and his fans have waited on those words, willing it, even wishing it, to translate into an announcement of his entry into politics. These dialogues were top of the charts during every election, and the guessing game of 'will he, won't he' did the rounds with unfailing regularity. Through all the speculations, Rajnikanth remained noncommittal . When director P Vasu attempted to change the status quo in 'Kuselan' by having the superstar attribute his dialogues to the dialogue writer, fans just rejected it. They sent fax messages to the director objecting to such a presentation. " How can you (Rajnikanth) say that? Whatever you say has made an impact on us. We always felt you spoke from the heart." "When Rajnikanth realised that his fans were hurt and let down by the words, he requested me to respect their feelings," said Vasu. "Even while making the film, I had a needling doubt as to how his fans would react to this dialogue, and when they expressed anguish, I immediately had them removed," he added. 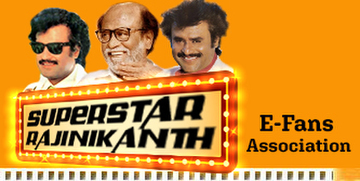 The last two films of Rajnikanth had seen less doses of political innuendoes. However, his appearance as 'mottai boss' in 'Sivaji' with the magic name of MGR sent his fans into a tizzy. If Rajnikanth had his lines, his fans always tried to read between them.